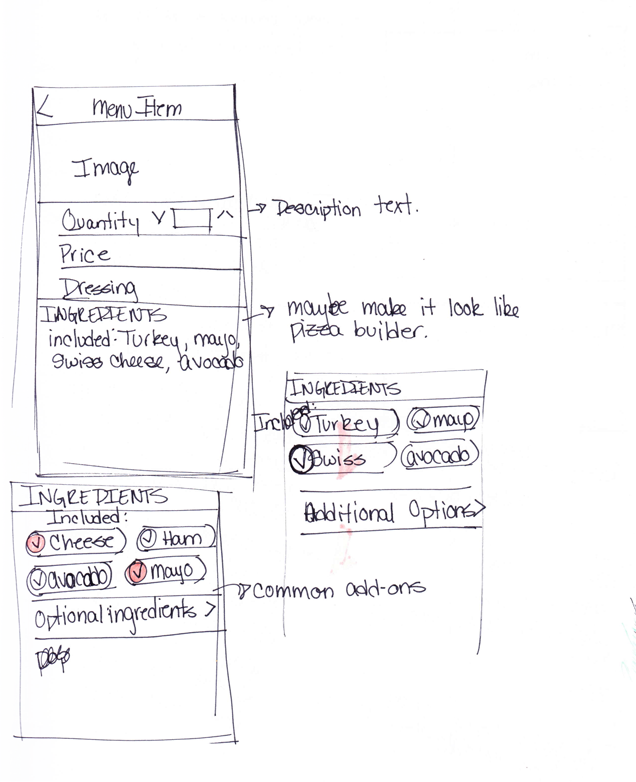 The Project: Create an easy process for ordering build my own and specialty pizzas. 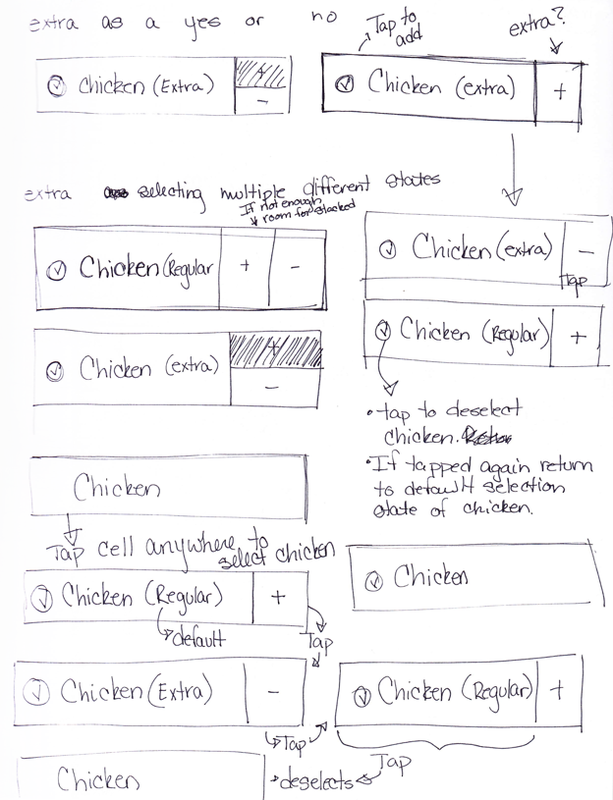 Provide a way for returning users to quickly reorder an item. Find a store location. 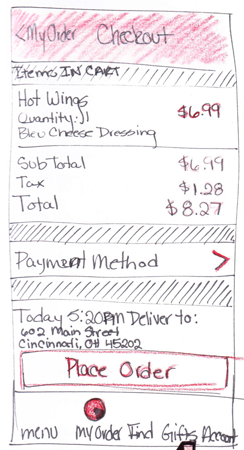 Provide a simple checkout flow for delivery or carryout. Also allow space for coupons for marketing. 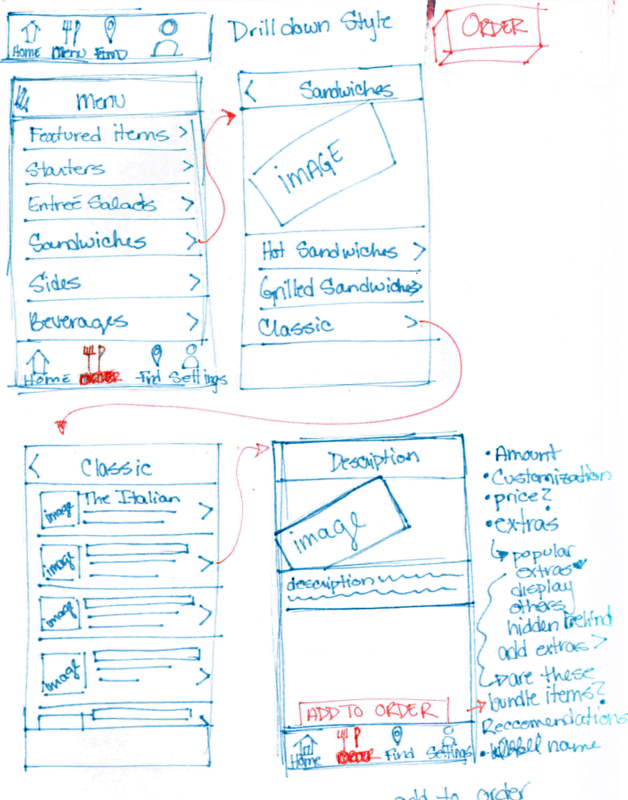 Brainstorming sketches and wireframes for pizza builder. 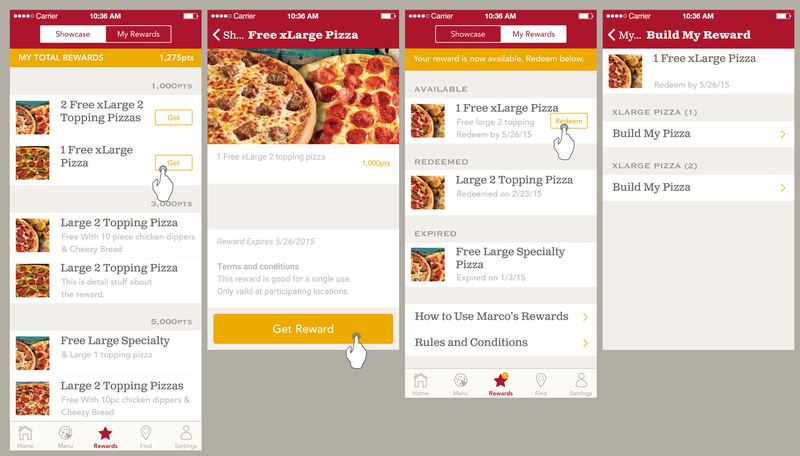 I needed a way to allow the users to add specific items to half of a pizza or whole, select the amount, and have the design be flexible enough to work for other Marco's menu offerings. 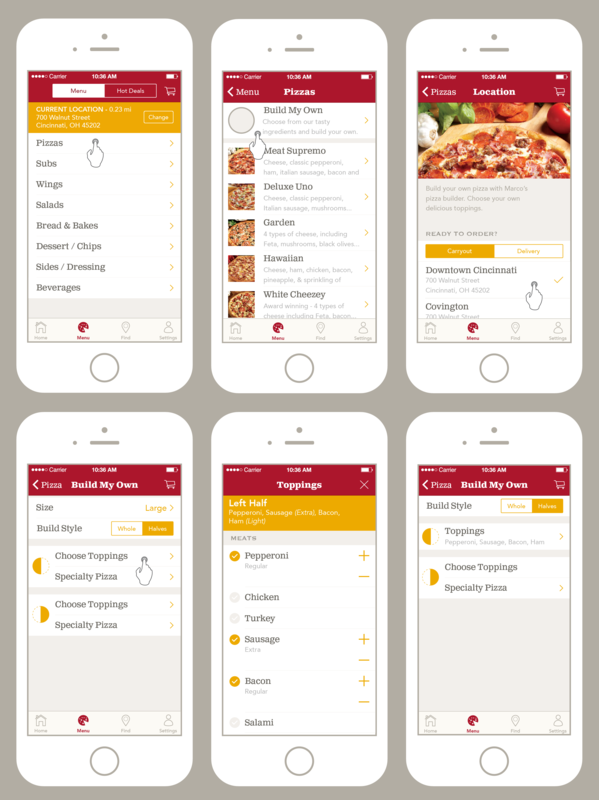 The pizza builder was introducing new functionality and needed to be tested on the device to get hands on user feedback. 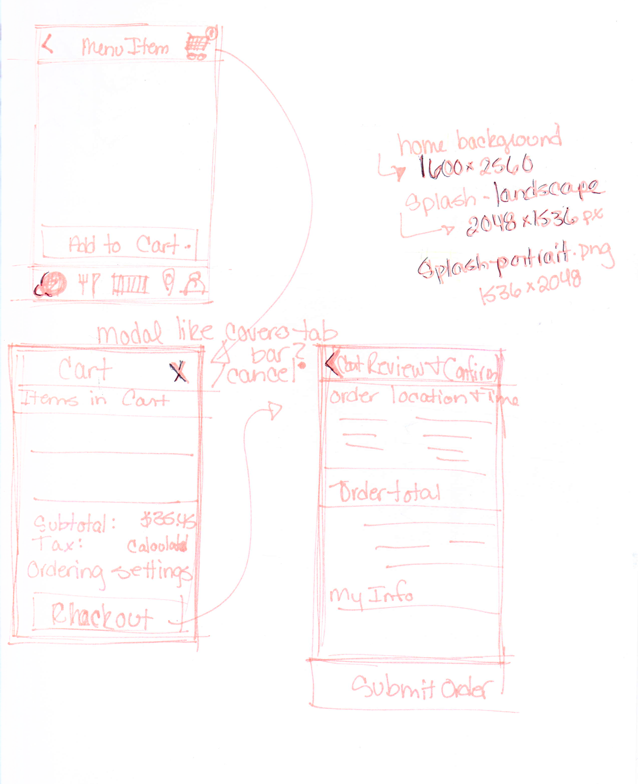 I created a prototype in Adobe Experience Design to help visualize the concept.